Avira AntiVir Personal FREE Antivirus was developed to be a reliable free antivirus solution, that constantly and rapidly scans your computer for malicious programs such as viruses, Trojans, backdoor programs, hoaxes, worms, dialers etc. Monitors every action executed by the user or the operating system and reacts promptly when a malicious program is detected. Avira AntiVir Personal is a comprehensive, easy to use antivirus program, designed to offer reliable free of charge virus protection to home-users, for personal use only, and is not for business or commercial use. 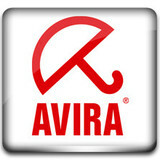 Avira AntiVir Personal is free for personal use only. A license key can be downloaded from here. · All components have been made more resilient in order to resist against targeted malware attacks which are more and more aggressive. This includes, but it is not limited to, the ability to function without many registry keys, better protection against process termination, component deletion and many others. · The repair functionality for various malware families has been improved. · Many optimizations in all modules, re-usage and recycling of components that have already been loaded in memory lead to a lower memory consumption. Because the engine is loaded only once, the overall initialization time of all modules has been improved. · The usability of many actions which require user interaction or are used very often has been improved: installation, configuration and control of the user interface.